I just wanted to update you on the one-year protective style challenge I started in May of 2013. So far it is a major HIT!!!! I am so please with how much my hair has grown and how healthy it is. My curl pattern did change, but that was expected. All worked well for my hair except the crochet braids. They were easy to put in but my hair was very dry. They were also hard to maintain. I plan on finishing the year strong! I will keep you posted! Hope you had a blast ringing in the new year. I did! I did something new for 2014 that I want to share with you. I got a make-over! Well, my purse did but I promise I look better than I did! As organized as I am, my purse was a mess and I was ALWAYS digging for things! I could never find things when I needed them and sometimes I would have to carry another tote in addition to my purse for the rest of my stuff. So, I made some much needed adjustments and enhancements. First, I realized I just need large purses. Clutches and cross-bodies are great for special outings but for day-to-day usage, I need space for all my stuff! So switched from my Betsy Johnson purse to my handy Coach tote. Then I made the following to organize my tote. 4. 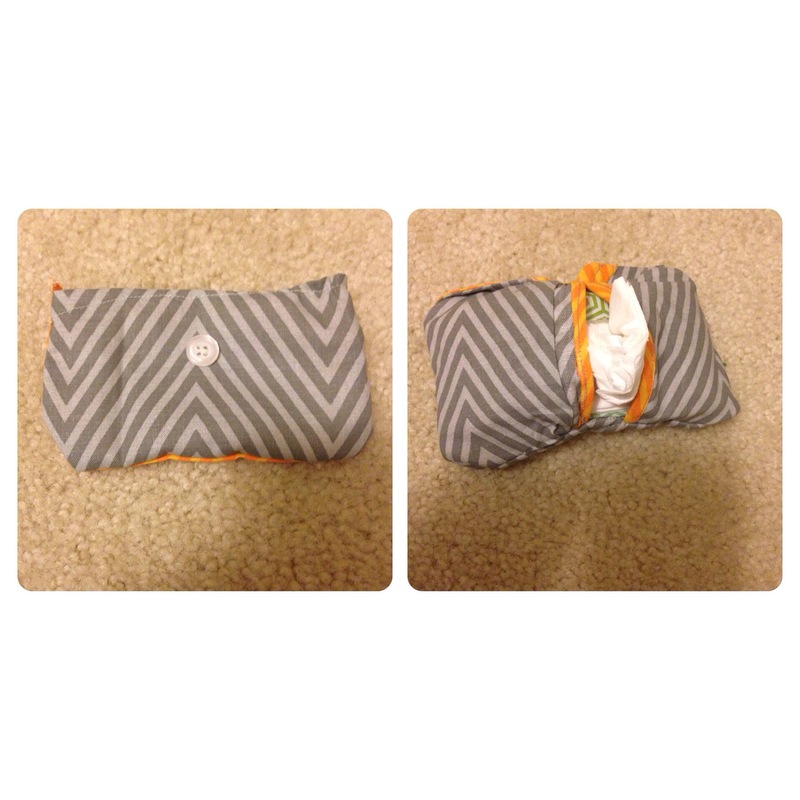 Tissue case– to hold and protect tissues in case I catch the sniffles. 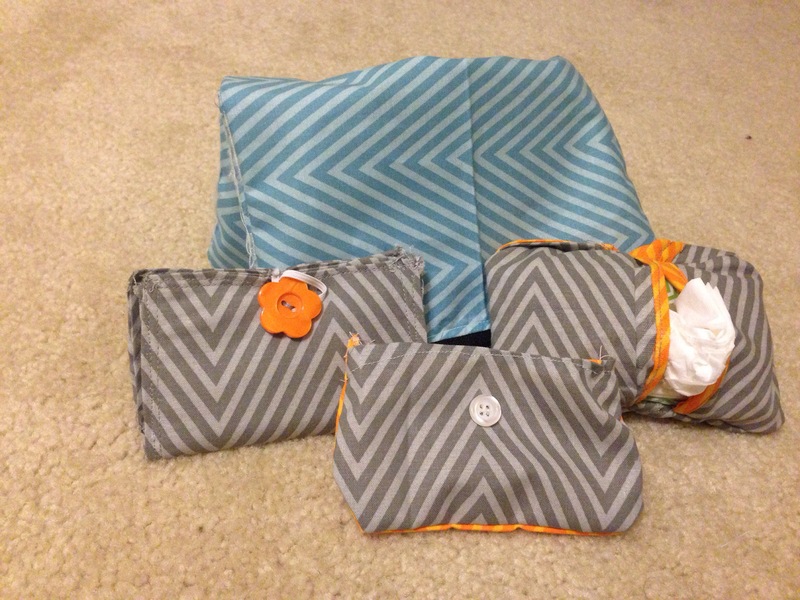 The great things about a lather bag is that it can hold my planner and tablet-which I also have on me all the time. The tutorials for everything but the mint pouch are linked. 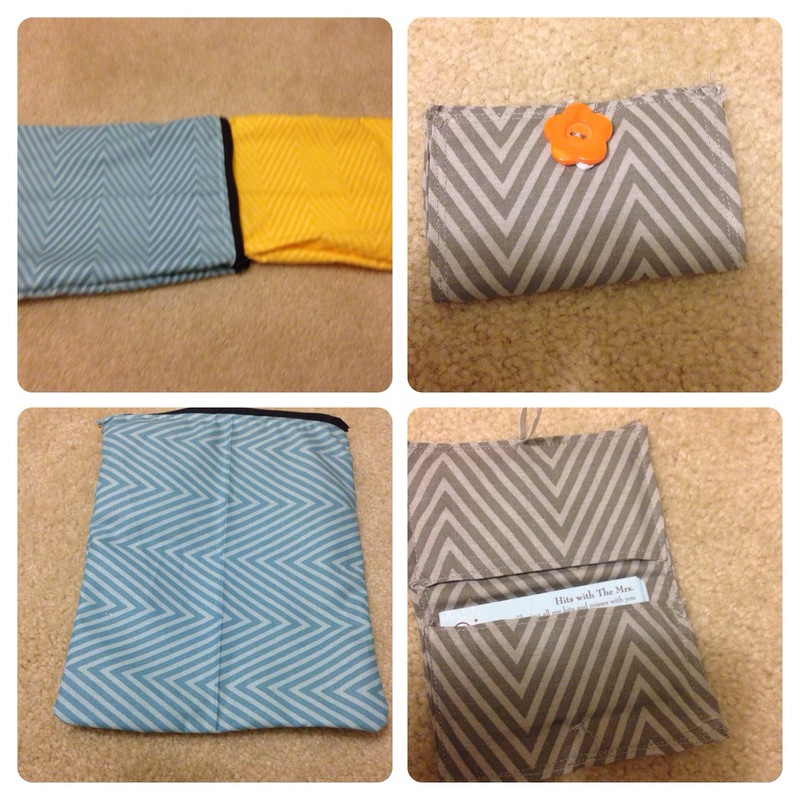 To make the mint pouch, cut two pieces of the same or coordinating fabric in a small rectangle (or to the size you desire) and put them right-sides together. Sew or hot glue along the two short sides and one long side, leaving an opening at the top. Sew or got glue the salvaged-edges of the opening under to nake a finished look. Then turn inside out. 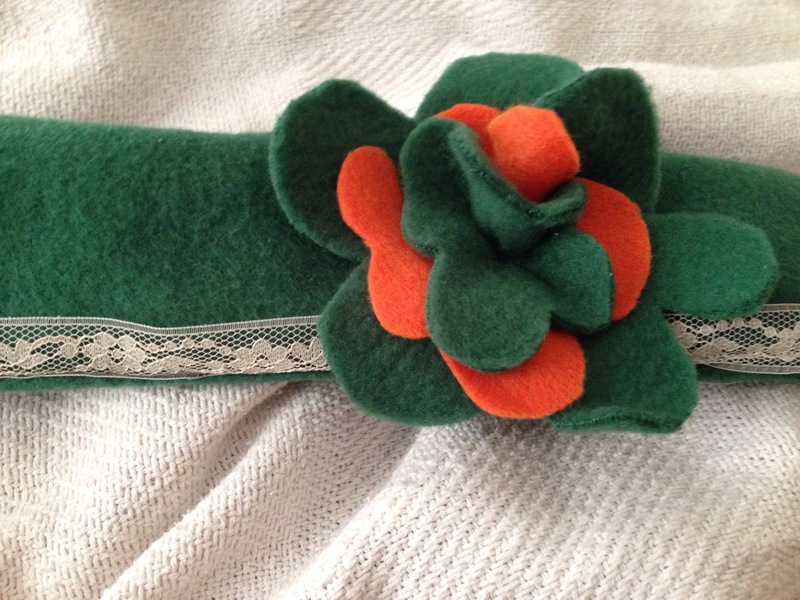 You can add an electric band and button or Velcro to close. Some like to think the ‘New Year, New You’ saying is played out and a waste of time. I beg to differ. A new year is a chance to improve you. Whether it is working on changing bad habits, improving your health or strengthening relationships, a new year is simply an opportunity to take advantage of. Do I agree with the skeptics when they say ‘every day should be an opportunity’? Yes, I do, but sometimes we need a major kick-start. For some that kick-start is heart attack. For others, it’s a new year. So today, and on this New Year’s Eve, raise your glasses and toast to you! Toast to what you’ve become and how you’ve grown. Celebrate the blessings bestowed upon you and your family and the faith that brought them to you. I encourage you to make resolutions for this new year-but they should be attainable! A resolution (according to me) is nothing more than a working goal to be started and/or completed in the course of the coming year. You want to read more? Read books that interest you and will improve your life. This may not be time to pick up Chaucer. You want to exercise more? Get friends to hold you accountable and make a feasible schedule. 7. Share more with you! I’ve always considered 7 my ‘lucky’ number so it is quite fitting that I have 7 resolutions. I’m going to need help with number 7. Please, please, PLEASE tell me what you want to read more of. Marriage building, Christian living, crafting, sewing, money saving-you name it and I will share. Thanks so much for an AWESOME 2013 and I’m excited to share all the hits and misses of 2014 with you. What are your resolutions for this upcoming year? What do you think about mines? I just wanted to share a quick tutorial with you that will help you keep your ears warm in this frosty weather. I have been on a hunt for the head-band ear earners and they were always a little pricey for my taste. So, I found this fleece ear warmer tutorial to make them. 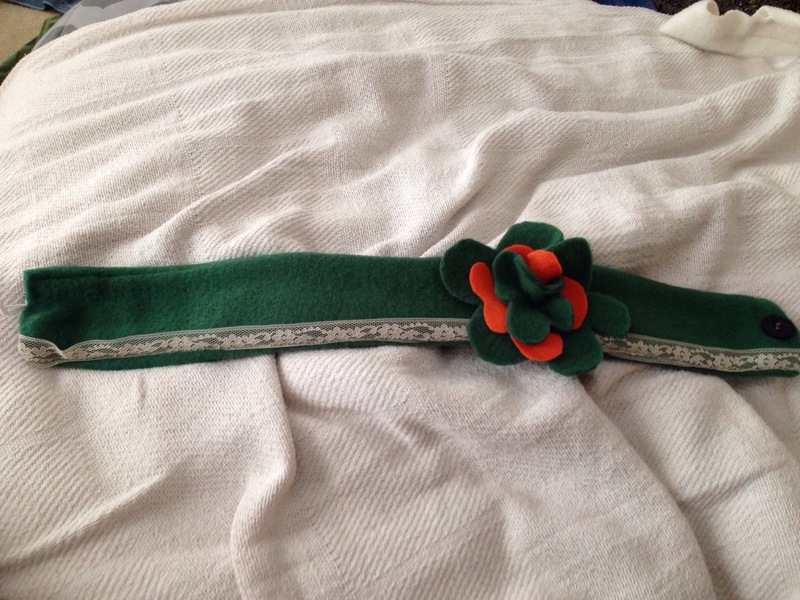 I only had green fleece and some orange felt when I decided to give this a whirl so I followed the tutorial exactly-except I sewed the 3-sides of the two pieces inside-out and then turned it right-side out to apply the button and flower. I added a little lace to make it a touch of femininity…I love a little flare! 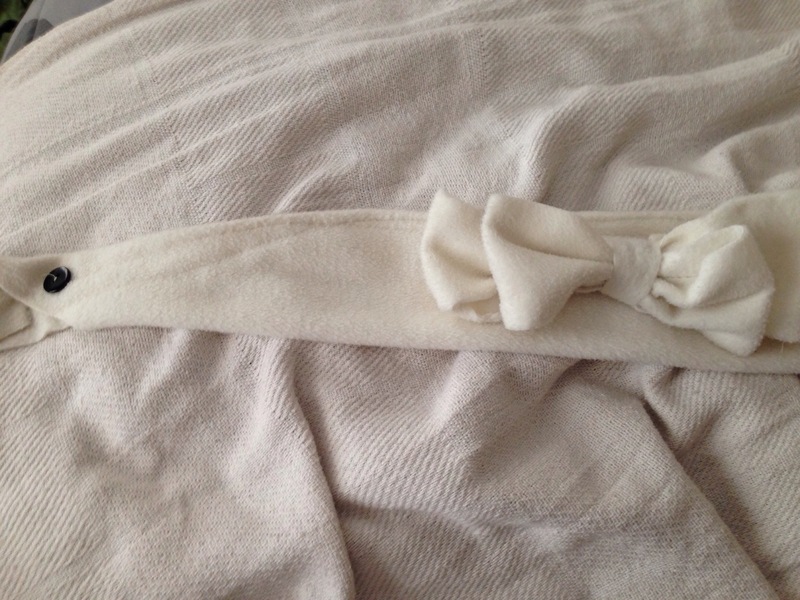 A day or so later, I had some extra fleece and made a white one with a double bow. I made this one longer and wider than my first one. I’m not sure about the weather where you live, but it sure is frosty where I am. With the crazy weather changes, I noticed my body trying to catch a cold so I thought it wise to be proactive. I am trying to stay away from Western medicine as much as I can and make natural remedies my first resort. I knew, through research, that ginger is known for combating sinus issues, sore throats, upset tummies and headaches. 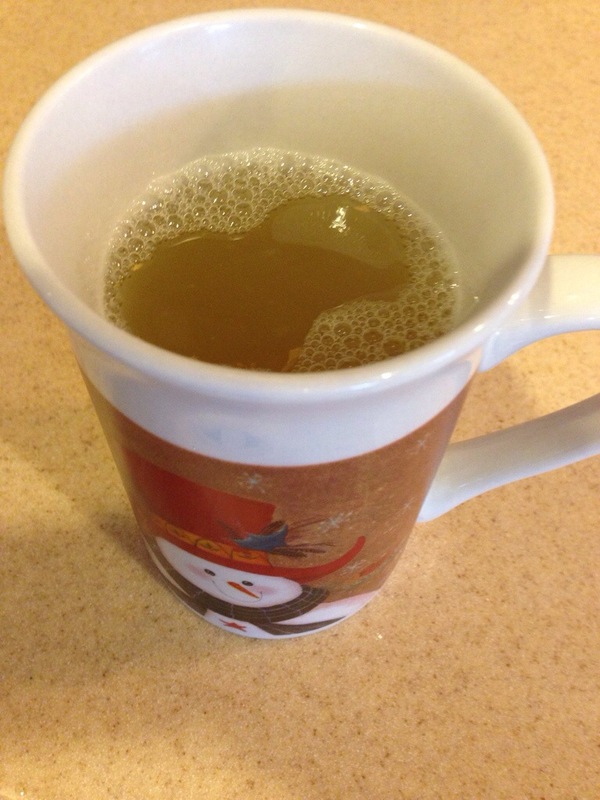 I also knew I wanted to get warm so I thought up a recipe for ginger tea. Now, it may be the old southern woman in me but I didn’t use exact measurements. (Sorry!) Here are the supplies and method as exact as I could get them. Let me know how your’s turns out! Finally add honey to your liking and serve warm.